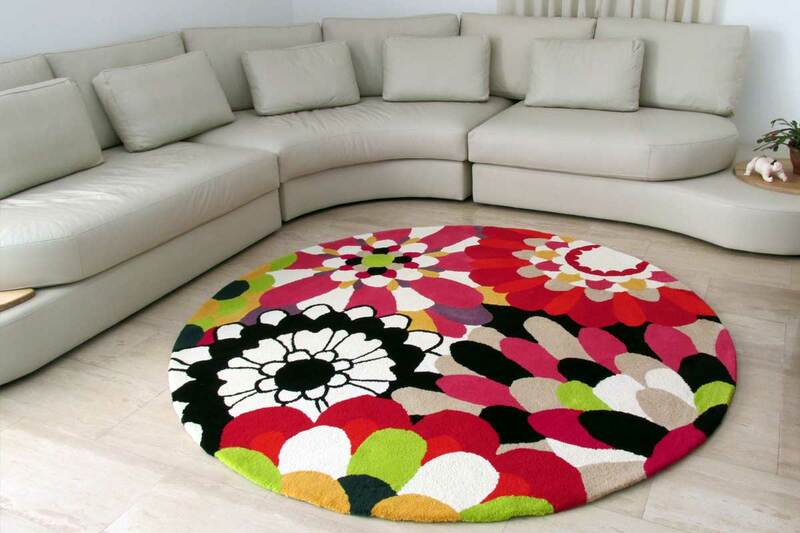 A sophisticated living room such as this – with only solid, low-key, muted colors – can easily carry off an area rug like the one you see here. 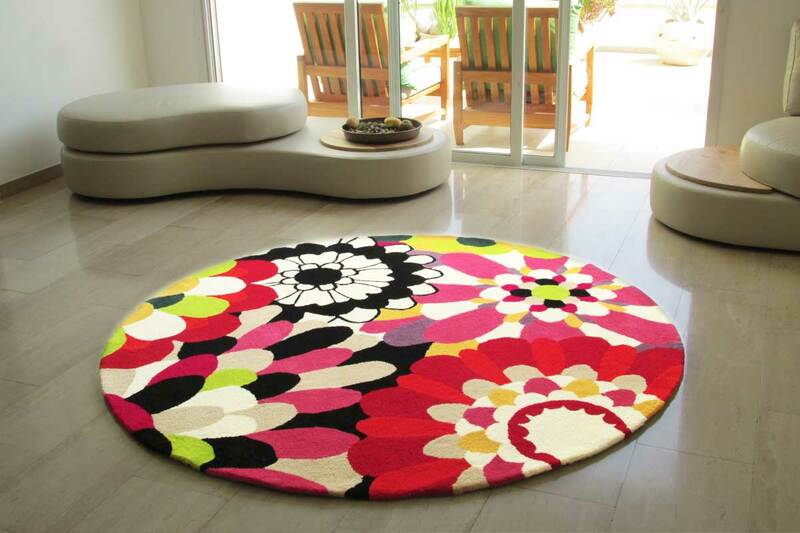 A perfect circle, an abundance of floral-inspired elements in vibrant colors, tufted on level. Made for a residence in Kfar Saba.